For a collector, it's sad to see Chipper Jones rookies sell for less than $5. Jim Thome has just two rookies cards and they're both easy finds at a couple of dollars. Even sadder, most of these cards probably won't ever go much higher unless there's a mysterious junk wax rapture. The list of greats from the late 80s and early 90s with cheap rookies is long. Hobby hysteria and massive overproduction created such a glut that archeologists could very well be digging up 1989 Donruss Ken Griffey Jr. rookies thousands of years from now thinking that he's some sort of god that we worshiped. That's not to say these cards can't still be enjoyed. In fact, a lot of these 80s and 90s sets are fantastic, from both a design perspective and with their checklists. The major reason you can find 1989 Upper Deck Randy Johnson and 1987 Donruss Greg Maddux rookies for a couple of dollars is their print runs. It's Economics 101: Supply and Demand. So many are out there that supply will likely always outpace demand, even as these stars are enshrined in Cooperstown. But that's not to say there's no investment potential from this era. There are several niche areas collectors can look to, both for a chase and as a way to, potentially, make some money. Not all cards from the late 80s and early 90s have a seemingly infinite supply. 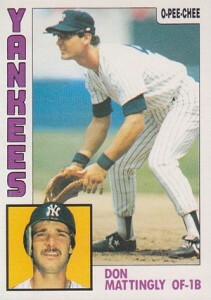 Between 1984 and 1991, Topps produced special factory sets that featured better card stock and a glossy finish. 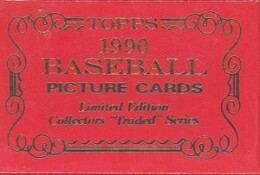 Dubbed Topps Tiffany, production runs for individual sets vary, but they're typically between 5,000 and 10,000. That may seem like a lot by today's standards, but when you compare them to the hundreds of thousand, if not millions, of regular cards, these Tiffany sets are extremely limited. Topps also produced Tiffany sets for 1989 Bowman Baseball and 1990 Bowman Baseball, again, in much more limited quantities. Another set that fall in a similar vein is 1991 Topps Desert Storm Baseball. Topps made a limited run of 1991 Topps cards to send to troops stationed in the Middle East. These cards were printed with a special foil stamp, differentiating them from the regular 1991 Topps Baseball set. Again, supply is they key. They're relatively tough to find, especially in top condition. Topps wasn't the only company to produce upgraded versions of their base cards. Between 1987 and 1989, Fleer Glossy tin sets. These factory sets come with upgraded quality. Unfortunately, most don't carry a huge premium as they were printed in greater quantities than the Topps Tiffany sets. Still, they do offer a quality alternative. One final set collectors may want to consider is 1990 Fleer Baseball Printed in Canada. They are a small variation on the regular 1990 Fleer Baseball set. The copyright states these cards are "PTD. IN CANADA" instead of the United States. The set doesn't carry a huge premium, but for something from 1990, it's a switch from something that's easily found. Often times, minor league cards get a bit of a bad rap. 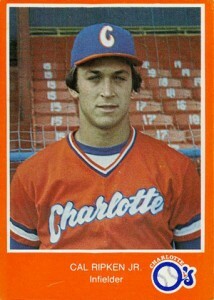 Many collectors frown upon them and their lack of rookie card status. That doesn't take away from the fact that many of these cards are extremely rare today. And for players who debuted in the 1980s and early 1990s, these minor league cards may carry some of the greatest investment potential. Often, minor league team sets had very limited distribution. It wasn't unheard of for a lot to be largely exclusive to the team's shop or a stadium giveaway. And when you consider that minor league teams draw far smaller crowds than their MLB counterparts, the print runs look even smaller. Minor league cards are very popular with player collectors. They often go after everything of a given player, MLB uniform or not. There are lots of hidden gems to be uncovered on the hobby road leading up to the majors. It is worth noting that several companies in the early 1990s mass produced minor league cards, including Classic, Fleer and Upper Deck. These will likely see minimal growth as they were readily available from the start. In the interest of full disclosure, this author hails from Canada and O-Pee-Chee has a special place in his heart. That said, there's no denying how under-appreciated these sets are. Nearly identical as their Topps counterparts, O-Pee-Chee Baseball sets are available in much smaller quantities as they were originally produced for the Canadian market. O-Pee-Chee cards are noted for their bilingual card backs that have both English and French. Until 1989, they also have a different logo. The one knock against O-Pee-Chee sets is that they have smaller checklists, which means fewer rookies. However, there are also a couple of quirks as well with cards that aren't in Topps sets. 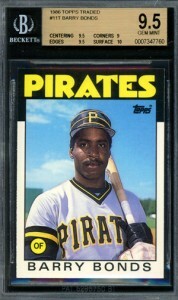 The most notable are 1988 O-Pee-Chee Baseball Delino DeShields and Derek Bell draft pick cards. These predate their first Topps cards by two years. Unfortunately 1994 was a long time ago and few collectors care much about either player anymore. The fact is, O-Pee-Chee Baseball may be the seen as the tag-along sibling to the Topps sets, but their relative rarity makes them ideal investments as more collectors look for alternative from the era. The one big exception here are O-Pee-Chee Premier sets released from 1991 to 1993. They had massive production and are abundantly available. A lot of people suggest that to see the best returns on an investment, you have to go with the best. It takes money to make money. Collectors will always look to the best examples of something, thus sending prices up. While not all collectors are fans of graded cards and their subjective nature, they are a major part of the modern hobby. Top-grade cards that are in gem mint or pristine condition will always have a place with collectors. And when PSA 10 and BGS 9.5 rookies of guys like Jim Thome and Frank Thomas cost less than a mid-range box of most new products, why not go out and grab a few? These do stand to gain more than regular cards, but the higher up-front cost also makes them a little riskier. That said, there is always a market for the best. Please note, none of these four suggestions are guarantees to make money. That said, if there are any opportunities on single cards, these are some fantastic places to start. As more collectors return to the hobby who stopped collecting after the initial, many are looking back at the era where they got started in the hobby. I have way too many from the early nineties and late eighties. I refuse to post them on eBay due to the price they’re worth. Sad to say, but it’s true. You missed a big category in Oddball (i.e. Team Issued or Product Premium) Cards. Some were overproduced (think box sets produced by the Major Manufacturers) but some are down right impossible to find (think some of the MSA Associates releases with the toughest being their 1982 FBI/Bantum Discs). Trey (ID 66175) � Oddball is a huge category and there are certainly some great options. Supply and demand economics eventually will correct unusual market pricing trends, such as greed as you say. The 6 pack joe can still buy cards at a very low cost. You don’t have to be rich to participate. When we were younger, we believed that our Jose Cansecos and Don Mattinglys would become the next Lou Gehrig, was that greed? Matter of opinion, but in some way, we wanted those cards for their future value potential. Call that greed or call it opportunism, the cards ended up decreasing catastrophically in value. Again, one of the reasons why I don’t buy modern cards, only vintage. I would only be interested in buying modern cards of there were strict limitations on quantity produced. Otherwise, ambitious buying behavior, whether greedy or not, will loose money on your investment. One other comment. I don’t believe Topps, Donruss, Fleer, or Upper Deck or other brands can be easily proven of greed. Surely they wrecked the trading industry (think of the .COM bubble, the real estate bubbles, oversold/overbought or overproduced commodities). Continue to cycle every year. Nowadays, we experience bubble-esque economic patterns all of the time. The VCR used to cost 10-x what a DVD player costs now. The VCR is completely worthless now. The flat screen TV is now worth 50-75% less than what it went for 10-15 years ago. French restaurants charge 10x-15x what you have to pay at a fast food restaurant. Is their food worth that much more. Yes and no. Their food cost is probably not 10-15x, but consumers are willing to pay this much more. Where Topps, Upper Deck, Donruss, and Fleer succeeded, they found consumers willing to pay incrementally more for their product. Where they failed was in forever saturating the trade, and making about 7 years of collecting worthless, forever. Could they have foreseen this result of their production, marketing, and distribution activity? I’m not so sure. Most companies, if able to increase profits, will do it. Few companies will on purpose, limit their profitability. Lastly, the other massive change, that may have caused this, is de-concentration of the sports card industry by Topps. Donruss, Fleer and Upper Deck were opportunists. I do not think we can credit them as responsible for the gradual “sports card market collapse” of 1986-1992, but if it had only been Topps, would those years have been strong prices still today. We can only speculate. If you’re shopping on eBay, feedback rating is the best way to check confidence in a seller. Also, if you’re buying wax, top dealers will probably have lots of similiar-era wax. This might not always be the case, but it’s something I consider when buying. That said, at this point if you want the Elite cards, you’ll prbably have better luck just buying them outright as the odds of getting them are so long. were any Mike Schmidt baseball cards published in either 1996 or 1997 ? I have not been able to locate even one.